Until December 2017, Kilowatt Labs was still a startup company, developing supercapacitor-based energy storage and an energy server that’s designed to manage distributed energy. But after the company delivered its first product in January, Kilowatt Labs attracted more business than expected. Most recently, it garnered a $2.5 million investment from utility NorthWestern Energy, which serves 718,300 customers in Montana, South Dakota and Nebraska. 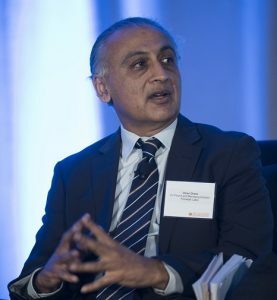 That investment is expected to boost Kilowatt Lab’s credibility and allow the company to showcase its products on NorthWestern’s grid, said Omer Ghani, co-founder and managing director, Kilowatt Labs. The company’s Centauri energy server can provide 24-hour power from 100 percent renewable energy sources. Its supercapactior-based Sirius storage is an alternative to chemical batteries. Together, with renewable or non-renewable energy, the technologies can serve as microgrids. And that may be just what NorthWestern Energy may need in parts of its upper Midwest and Northwest territory, which includes some sparsely populated areas that are expensive to serve with traditional poles and wires, said Ghani. The investment from NorthWestern will benefit both companies, he said. “This is good for both of us. They get access to our systems and we get access to the grid, and we get to address problems they face,” he said. Those problems could include some of the many challenges utilities face today, such as managing peak loads, integrating solar energy and providing voltage support. What’s more, in remote or less populated areas, the company’s microgrids can help support the utility. In these areas, infrastructure is expensive and the returns are small. “The utility could use microgrids in such situations. That’s how Nebraska and Montana are: They have big land areas with smaller communities. Working with our energy server, storage and renewables could be a better way,” said Ghani in an interview with Microgrid Knowledge. Under the deal, Brian Bird, NorthWestern’s vice president and chief financial officer, joined the board of directors of Kilowatt Labs. Beyond North America, Kilowatt Labs is seeing its network of resellers expand. The resellers — located in Africa, Canada, New Zealand and other countries — are generally experts in engineering, design, logistics, installation and support. Each reseller covers a territory, and is Kilowatt Labs’ only customer in that territory, Ghani explained. “We support each reseller with technical and commercial training and on-going technical support. Resellers manage the distribution in the territory themselves, either through direct sales, or through their own distribution network, or through a combination of both methods.” They don’t do installations, but have their own networks of installers. “All of our resellers have existing customer bases with very real problems for which Kilowatt’s products have presented an optimal solution,” he said. The company also is working with an un-named humanitarian aid agency to deploy its products in North Africa, eliminating existing diesel fuel systems, Ghani said. Kilowatt Labs will provide nine systems in North Africa. They vary in size from 20 kW loads/49 kWh storage to 160 kW loads and 250 kWh of storage. The systems include the company’s energy server and storage. The products are built inside a container, which is then shipped to the sites. “A lot of the sites already have solar and diesel, and with our system the diesel production goes to zero,” said Ghani. The company also has solar-plus-storage systems in place in South Africa, Australia, Pakistan and Italy, among other regions. Up and running are about 5 MWh of storage, said Ghani. As the company’s projects grow in numbers, interest increases, said Ghani. “The moment the solution hits, there is a lot of interest and it builds as it is deployed,” he said. 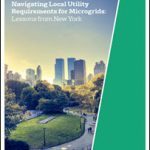 Track and discuss news about utility microgrids. Follow Microgrid Knowledge on LinkedIn.